Marco Palma, from Green Bubbles partner UBICA srl, attended the Second European Conference on Scientific Diving in Sweden and gave a presentation entitled “Underwater photomosaics: New tools for faster benthic assessments and long-term monitoring”. 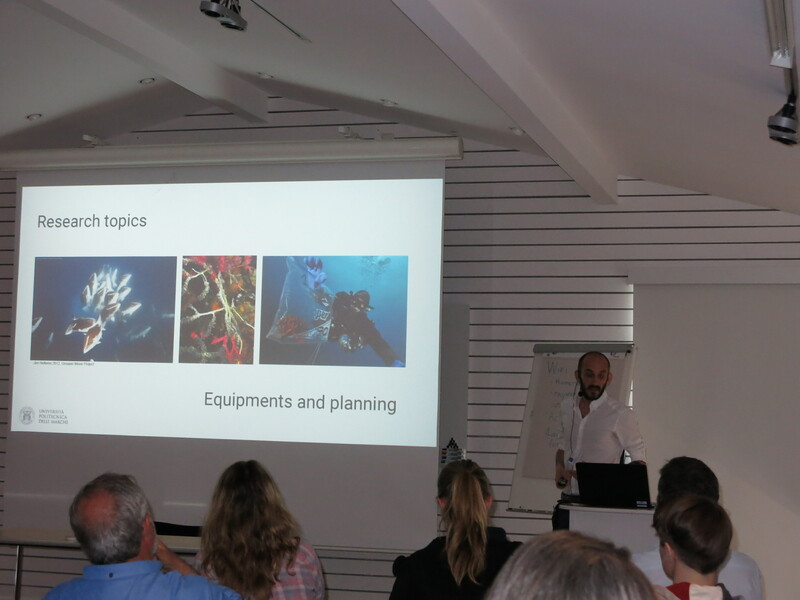 Innovative tools currently being developed in the frame of Green Bubbles will blend emerging technologies and traditional monitoring approaches, also taking advantage of the new devices appearing on the modern scuba diving market. These tool are for a broad range of potential users and applications – from institutional to citizen-science. Tagged citizen science, congress, mapping, results, UBICA. Bookmark the permalink.